We love summers for the sunshine and feel good factor it brings with itself coupled with the sun kissed glow it lends to our skin. But heat, tan, skin damage and heat rashes can sour the entire experience. Heat rashes are especially common in the humid regions where sun shines bright soaring the temperatures high. They are caused because of excessive sweat. The salt in the sweat accumulates in certain areas like skin folds in the neck, shoulder and armpit area. Heat rashes are also known as prickly heat. They are tiny red bumps and appear in clusters. Though it is a harmless skin condition which goes away gradually as the heat and sweat subsides but while it is there the itching can make you go crazy. And scratching can in some cases lead to infection. So lets give you some natural tips to smooth them out of your skin! Aloe Vera is a cooling herb and anti-microbial in nature. Take a sprig of Aloe Vera and slice it. You will notice its gel like juice oozing out. Apply it directly on the rashes. There will be an instant relief and reduction in redness. Aloe is also a great moisturiser and therefore will alleviate the itching. You can apply Aloe as many times in a day as you want as it does not have any side effects. It is good for young children as well who make up for the majority of heat rashes case. The heat rashes can cause a slight burning sensation and bumpiness on the skin. A cold compress can calm the irritation and reduce the inflammation of the rashes. Take a wash cloth and immerse it in the ice cold water.Squeeze to drain the excessive water and place it on the affected area. You can also add a few drops of any anti-septic solution in the cold water. 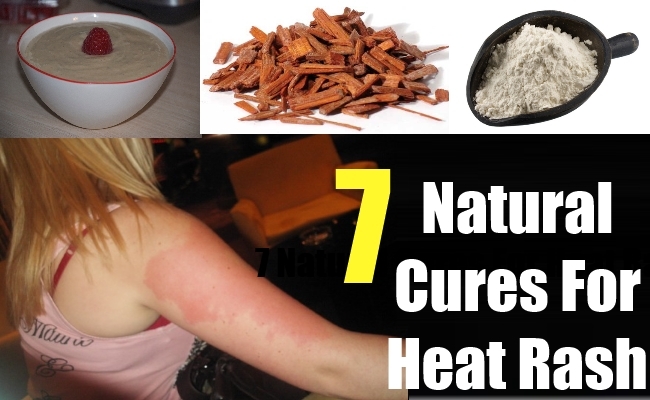 This remedy is best practised right after you have been exposed to the sun. Neem is anti-bacterial in nature and is a healing agent which fights inflammation quite effectively. Prepare a paste of neem leaves by grinding a bunch with some water until you get a paste like consistency. Apply it on the rashes once in a day and let it dry for about half an hour off as usual and apply some light moisturiser preferably neem oil to avoid drying of skin. The paste can be preserved in the fridge for about two days maximum. Fuller’s earth is a super cooling agent and great for the skin. A number of face packs use fuller’s earth as the active ingredient. Take half a bowl of fuller’s earth and add rose water to it. If you do not have rose water, then normal water will also do.Add a spoon of honey to maintain the moisture in the skin. Apply and let it dry on the rash. You will find the rashes disappearing and redness gone significantly. Sandalwood paste is a skin calming ingredient. It is also very good for maintaining healthy skin. A number of commercial face creams, soaps and packs use sandalwood powder in their recipes. Take some sandalwood powder and add rose water to it. Apply the paste on the affected area. Let it dry for about half an hour to forty five minutes. Wash off and you will get relief almost instantly. Coconut is a light moisturising oil which fights bacteria effectively due to lauric acid content in it. Due to its lightness, it is very popular in hot and humid countries. Take some camphor and add it to the coconut oil. Keep overnight and apply a thin film of the oil next day on the heat rashes. Both camphor and coconut oil have great potency against them.